After a somewhat mysterious, synth intro “Man On Fire” opens itself up and transition back forth between R&B styled pop chorus and rap verses. The transition is handled between various styles is handled very well, and nothing sounds out of place. Where Absoloot really shines though is in his speed rapping flow. 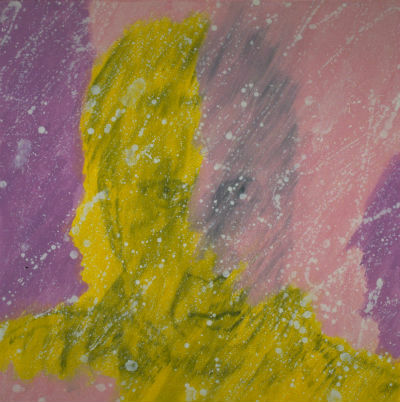 It comes across as flawless and on point and is illustrative of a lot of natural ability. 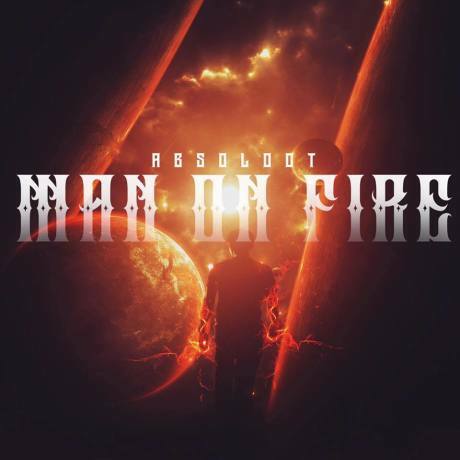 It’s not quite as fast as old school Bone Thugz but what makes Absoloot impressive is the way he effortlessly manages to change pace on a whim without missing a beat. 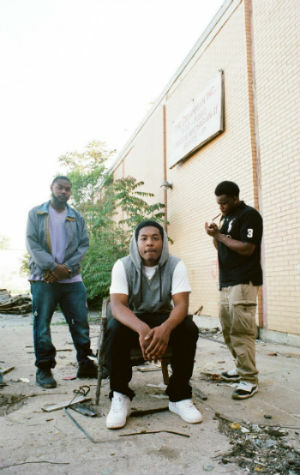 New mixtape out from Danjah 317, an Indianapolis based rap trio. Normally when I hear “mixtape,” I’m not usually expecting much of anything interesting, but this is actually pretty rad. The intro is some spoken word over a backing of someone turning the radio dial (or at least emulating that effect.) It works well and got me interested. 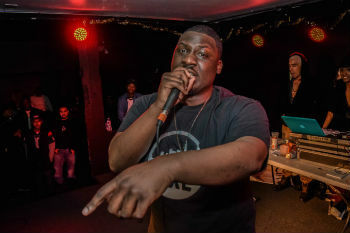 The track “Guess Again” is fast paced and engaging throughout, with clear and on point vocal delivery. Their popular song, “Stress Free Zone” is aptly titled. It’s a mellow jam with a loungy backbeat. Quality vocals without any unnecessary effects and that complement the background music help make this mixtape superior to similar efforts by other artists. Not many people can create a large body of work that consistently retains the same high quality. That is what makes Gilbert Engle so impressive. Most veteran musicians will have released all kinds of recordings, but much of it would consist of mediocre or terrible stuff they’d rather didn’t exist. In the case of Engle though, he remarkably puts out a high volume of quality material, which even manages to span across genres. So with that in mind, it’s no surprise that there’s nothing shabby about his “2015 Jazz Fusion One” release. Right off the bat I was prepared to say that the 4th track was my personal favorite. While this isn’t exactly music designed for teenagers, its energetic and laser beam like synth backing would put it right up there with the best video game boss battle music. It’s totally “danceable” as well and would work in an upscale club atmosphere or hotel bar. Upon continued listening though I realized track is the one that really blows me away. While all of the tracks are predominantly carried by the synth and the horn, the 9th track just has a certain articulate clarity about it. It’s just the most cohesive in terms of the different musical elements working well together, and the melody is the most detailed and precise on the album. That’s what I like about a lot of Engle’s songs. They have crossover appeal and would fit with a wide variety of environments and audiences, even ones that normally wouldn’t be that receptive to jazz. This is another top tier release from Engle. He shows dedication to his craft. 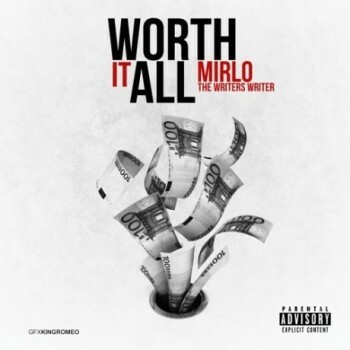 A rapper who goes by the name Mirlo – The Writer’s Writer AKA Donne Darko has a new EP coming out called “Good Day to Die.” The main single is titled “Worth it All.” The video for this song utilizes a fish eye lens reminiscent of many 90′s videos. It features an array of colorful graffiti backdrops which help to establish the tone. The song itself has a mellow vibe and a chill tempo. Stylistically, track contains elements of reggae influences as well. With these kinds of rap releases, the video is crucial to success, and the quality of Mirlo’s video for Worth it All is good enough that I can see it gaining some traction if it reaches the right people. Compass has a new song out titled “Dead Presidents.” I prefer the verses to the chorus portions of the track. It’s not that there’s anything wrong with the chorus, but the verses are crisp and clear. I just happen to really like the vocal effects used, the backing and the overall mix in those parts of the song and found myself looking forward to them on repeat listens of the song. Compass doesn’t come off as an amateur at all on this release. He seems rather confident and polished. I won’t get into the politics of the lyrics other than to say that Compass clearly doesn’t feel that any of the candidates represent his interests! Despite the title, his style doesn’t come across as overbearing or aggressive, and there is still plenty of focus on craft. Probably my favorite part of this song is how he manages to creatively incorporate the term cyclops from Greek Mythology into the rap. 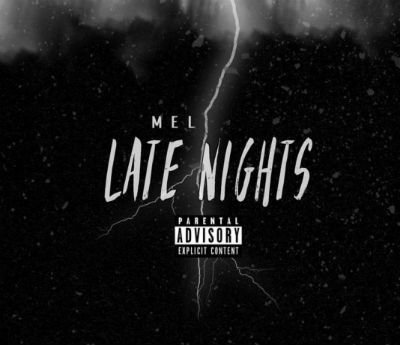 Texas based rapper Mel has released video out for his new jam, “Late Nights.” It’s a laid back, kick back sort of song, with a pleasantly mellow and entrancing beat. The video production isn’t overly flashy and doesn’t contain any unnecessary effects. Mel keeps it minimal but with some decent color usage (whether intentional or not.) His rhymes have a capable flow and the chorus “I can’t forget them late nights” it catchy enough for the song to stick in your head. Pretty straightforward and smooth jam. 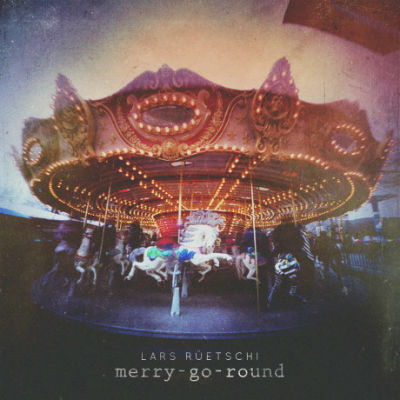 Well traveled Swiss artist and self described “citizen of the world” Lars Rüetschi has released a new solo piano track titled “Merry Go Round.” For a minimalist piano song to work, the piano playing must be able to stand on its own. Fortunately, “Merry Go Round” does just that. The melody is emotive and complex enough to entangle the listener’s attention and win them over. Piano recording technique is a kind of art in and of itself, and Lars manages to capture a clear and warm natural tone without any of the abrasive clanky sounds typically associated with “indie” piano music. Even without lyrics, one can sense that “Merry Go Round” is an appropriate title for this release. The song creates an atmosphere of calm and innocence not unlike the sort of actual Merry-Go-Round sequence that would be depicted in an art film. There’s certainly nothing epic about this song, but it is a measured and capable addition to Lars’ growing collection of conveyed musical experiences.